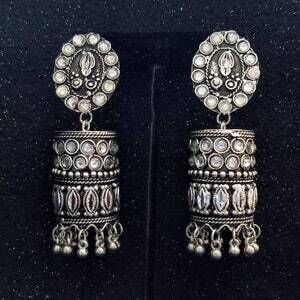 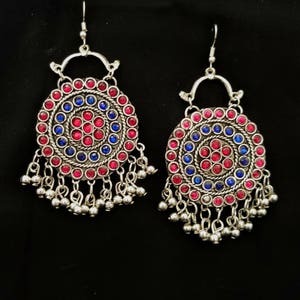 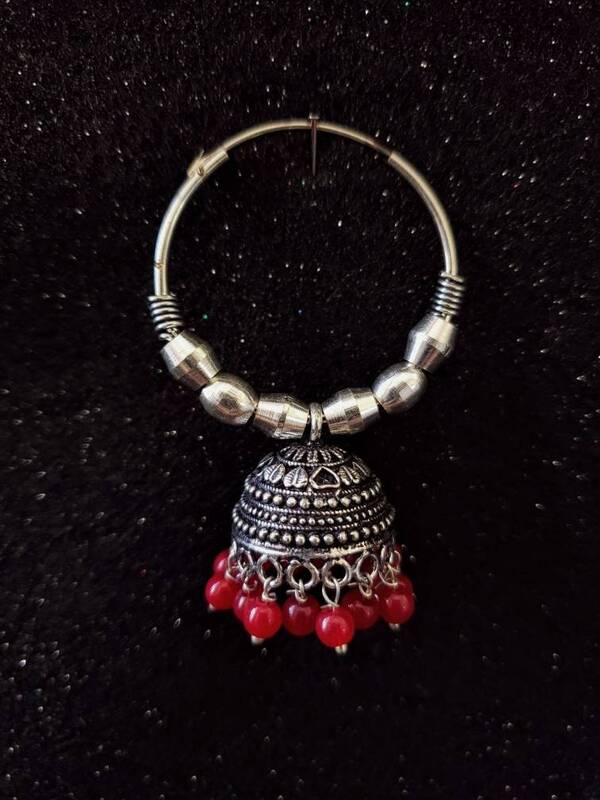 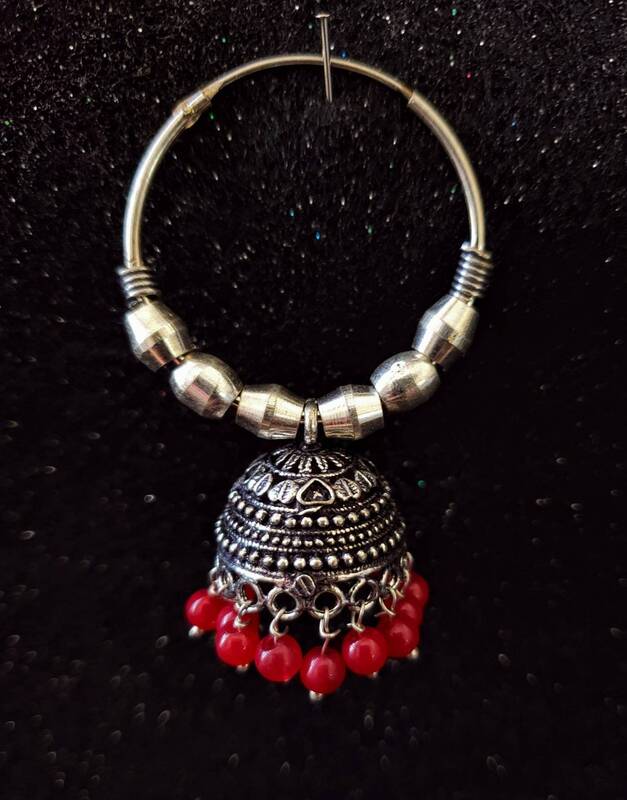 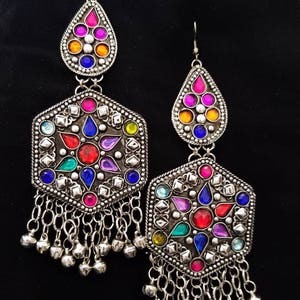 Cheerful hoop jhumka earrings with red beads, in oxidized silver. 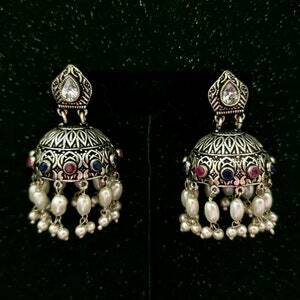 Fine detail and filigree work. 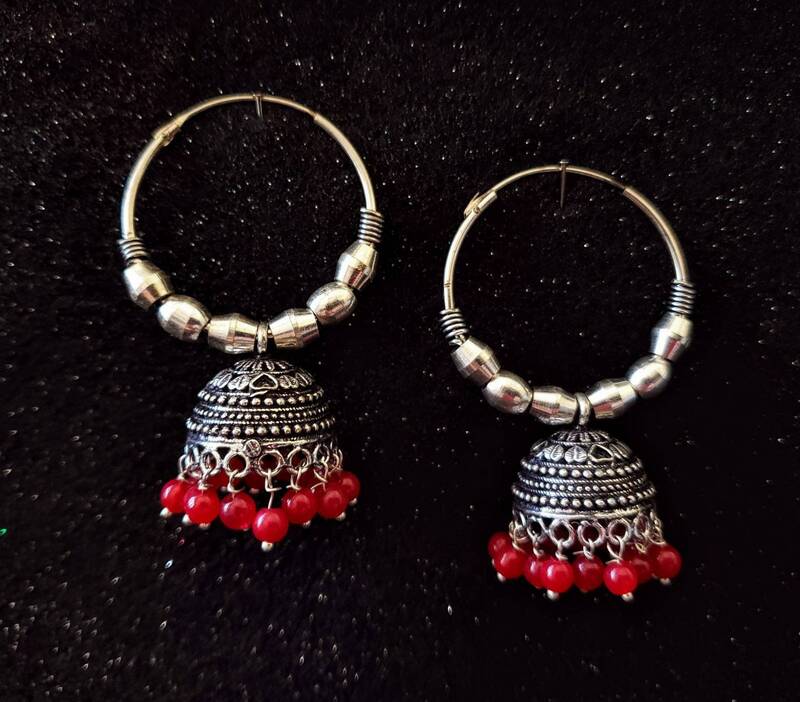 These will become your go to, everyday earring. 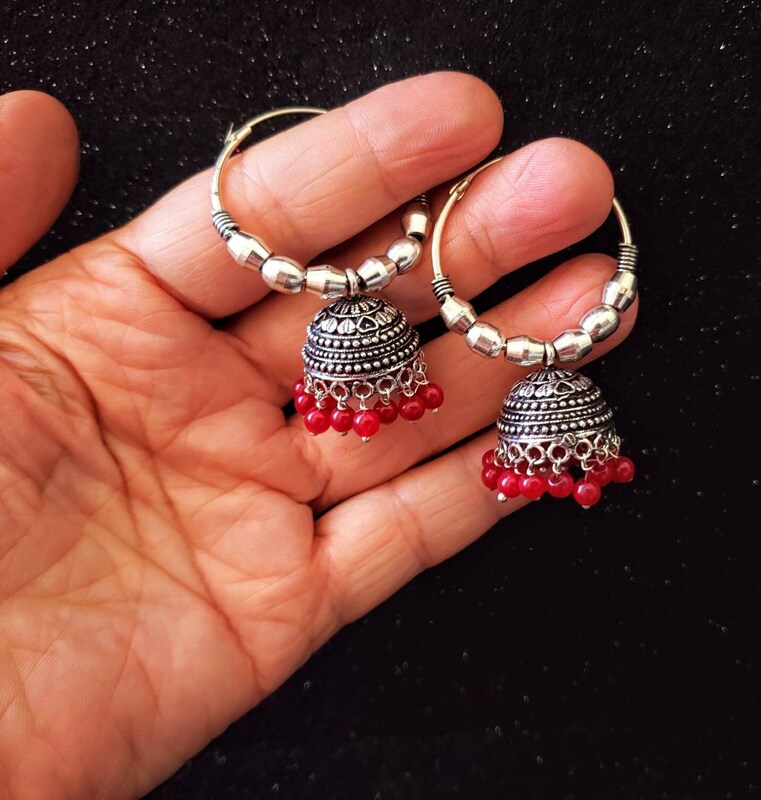 They are not too big, not too small - just right.